What To Bring To A Christmas Party! I'm a big fan of Brie and cranberry. Here's a recipe to try this christmas! Heat oven to 350 degrees. Stack 2 of the filo sheets. With a widest edge facing you, brush with some melted butter. Put 3 Brie fingers at even intervals across the bottom of the filo. Top each finger with 1 tsp cranberry sauce, then sprinkle over a few chopped walnuts. Roll up the filo from the bottom. Cut into 3 parcels, and twist the ends to seal. Brush with more butter and sprinkle with poppy seeds. Repeat with the remaining ingredients. Bake for 10 mins. Or, cover the unbaked twists with cling film, chill for up to 1 day and bake just before serving. One of my favorite things is pecan pie! It's a very sweet. I like making the tartlets for a fun twist! It's a little party in a bite. Here's the recipe below. Preheat oven to 325°. In a large bowl, combine cream cheese and 1/2 cup butter and mix well with a wooden spoon. Add flour and mix well. Flatten dough into a disk, wrap in plastic, and refrigerate 1 hour. In a large bowl, combine brown sugar, egg, remaining 1 Tbsp. butter, vanilla, and salt. Using a handheld electric mixer, beat until smooth, about 1 minute. Divide dough into 24 (1") balls. In a 24-cup mini muffin pan, place a ball in each cup. Using your thumb, press dough to line bottom and sides of cups. Evenly distribute half the pecans in cups. Add 1 rounded tsp. filling to each and top with remaining pecans. Bake until filling is set and crust is browned, about 30 minutes. Serve warm or at room temperature. My husband is British! He has opened my eyes to so many new wonderful foods from curries to Yorkshire pudding! I love this recipe for Cornish Clotted Cram Fudge! My very first trip to England I'm positive I had scones and clotted cream for breakfast everyday. I love exploring desderts from all over the world! Grease and baseline a tin. Such simple ingredients and so much flavor! I'm also from Iowa, where we love good bacon. Enjoy this recipe! The men definitely will! Stuff an almond into each date. 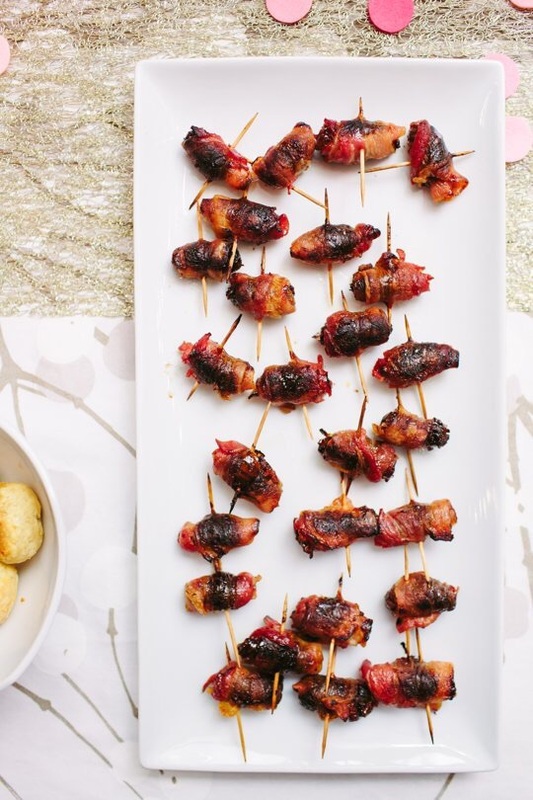 Wrap each date in half-slice of bacon and secure with a toothpick. Stick the toothpick through the date closer to one end, so as not to run into the almond in the middle. Place dates on the baking sheet. Bake for about 20 minutes, turning them over after halfway through, until the bacon is fully cooked and crispy. Baking time may be slightly longer or shorter depending on thickness of the bacon. Serve immediately. We like the crunchy texture of these Spanish almonds, but regular toasted almonds work just fine. Dates can be stuffed, wrapped, and kept refrigerated for up to 24 hours before baking. If you're feeling adventurous, try stuffing the dates with cheese instead of the nuts — or with both! 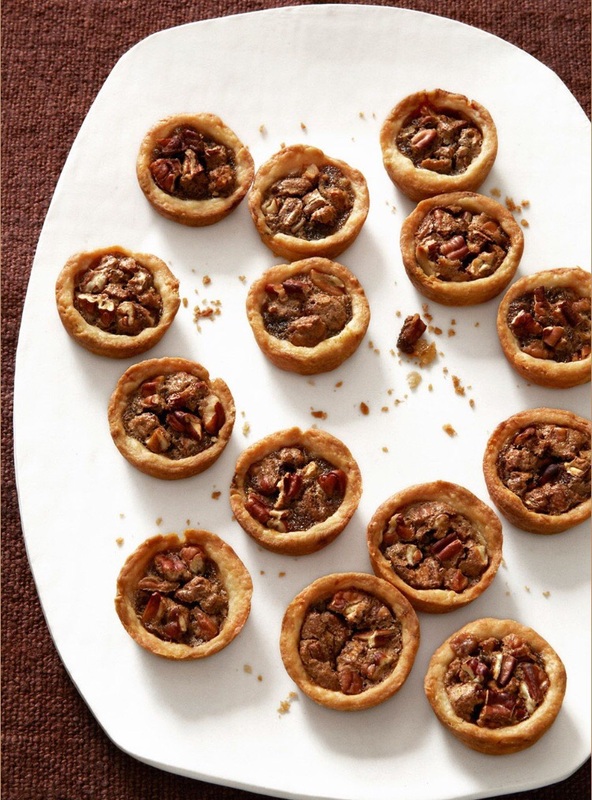 Enjoy these savory and sweet bites! I can't wait to partake this Holiday!